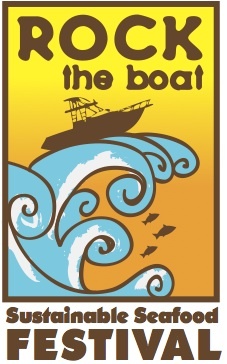 ALBUQUERQUE, NM— Whet your appetite at the 6th annual “Rock the Boat” Sustainable Seafood Festival, Thursday, June 9, 6 – 9 p.m. at the ABQ BioPark Aquarium Plaza. Nibble on delicious seafood obtained in ways that protect the ocean and prepared by some of Albuquerque’s finest restaurants: Pelican’s, Savoy, Desert Fish, Season’s, Lucia at Hotel Andaluz, Scalo and the Shark Reef Café. Catch live music by Soul Kitchen, wine samplings courtesy of National Distributing, cooking demonstrations, desert stations throughout the Aquarium and more. Learn about the importance of sustainable seafood and where you can buy it. Tickets are $30 and can be purchased in advance at www.RockTheBoatFestival.com or at the door on event night. Proceeds benefit the NM BioPark Society supporting the ABQ BioPark, your Zoo, Aquarium, Botanic Garden and Tingley Beach. The Rock the Boat Sustainable Seafood Festival is presented by the New Mexico BioPark Society and Seattle Fish Company of New Mexico and sponsored by Whole Foods Market, 99.5 Magic FM and Century Bank. Media passes are available by request from Aquarium Manager Holly Casman. The BioPark is an accessible facility and a division of the Cultural Service Department, City of Albuquerque, Richard J. Berry, Mayor. For more information, visit www.cabq.gov/biopark or call 311 locally or (505) 768-2000 (Relay NM or 711).